These small textile forms provide a unique opportunity to celebrate and cherish the miniature world of textile design and “Wear Your Art” (WYA). 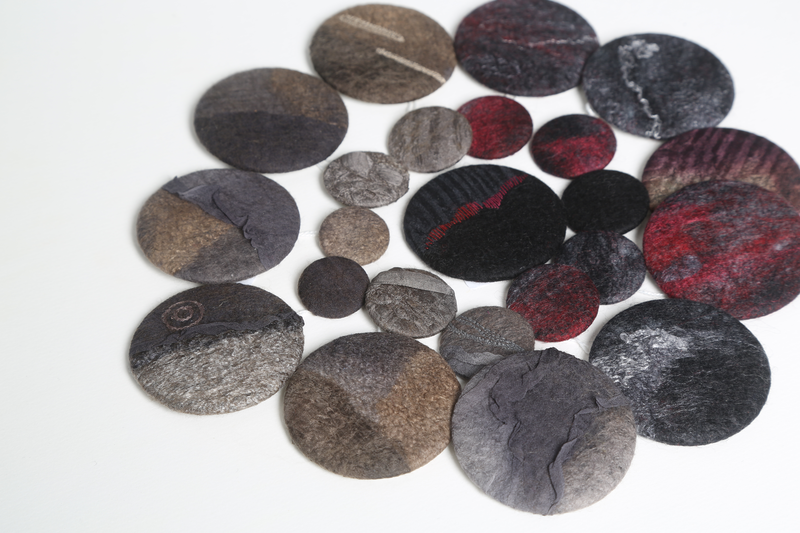 Textile Brooches are mini canvas of creative pursuits, textile forms of creative discoveries and personal fibre journeys. They capture the subtle colour and tonal changes as well as texture and often botany inspired motifs. They catch the viewers’ eyes, making them stop and pause for the moment, to discover mini world of fibre metamorphosis and transitions. Fully enclosed with a metal pin, they can be worn from a corporate event to a casual party and become daily wearable art collection. Jolanta’s interest in the mini textile forms grew out of her acceptance in the International Textile Miniatures Exhibition (2010 & 2013) by Museum of City of Gdynia, Poland. The Textile Brooches are extension of Jolanta’s philosophy and commitment to “Zero Waste Design” principles.